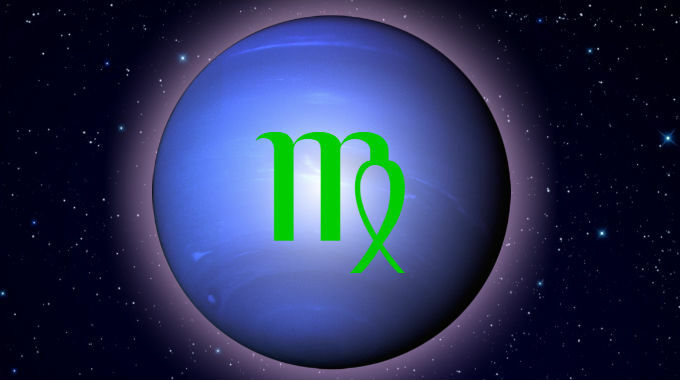 Neptune in Virgo is in a mutable earth sign, dissolving, synthesizing, idealizing and artificially reconstructing the significations of its ruler, Mercury. This sign is associated with modesty, practicality, skills and crafts, agriculture, health, work ethic and service. People from this 7-year span of time may stand out as homespun and pragmatic as a group, and individuals with aspects from Neptune to more personal planets and points may stand out as their visionary folk heroes and harvesters. People also take on characteristics of the time they come from. Accordingly, in the 1928-1942 Neptune in Virgo period, Social Realism emerged, a movement in art, filmmaking and photography romanticized the ideal of the “common man”, but also critically captured the devastation of the rural poor amidst the collapse of the agricultural industry. This was typified by paintings like Grant Wood’s “American Gothic”, Dorothea Lange’s “Migrant Mother” photo, John Steinbeck’s book “Grapes of Wrath” and John Ford’s movie adaptation of it. This style reached its pinnacle over the course of the Farm Security Administration’s photography project to publicize the need for financial and nutrition assistance to farm workers in the Great Depression. This period also coincides with the discovery and first clinical prescriptions of penicillin, the beginning of the Antibiotic Era. Virgo is associated with the intestines, and antibiotics indiscriminately attack bacteria, including good bacteria such as flora in the gut, which is why antibiotics are commonly known for their intestinal side effects. Although antibiotics are not addictive in themselves, people are addicted to an efficient fix and getting back to work as soon as possible. This has led to the overuse of antibiotics, launching an era of antibiotic resistance. This is especially true if you were born with Virgo rising. Whether you experience the better or worse significations of this position depends on whether you were born during the day or at night, and the kind of aspects it makes with the other planets.